Why pay $20 for a Strongarm clone? 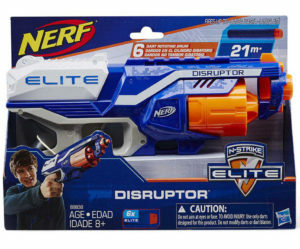 Last year, Blastersparts.de revealed the Elite Disruptor. It certainly confused the fans as it was almost identical to the well-received Strongarm blaster. 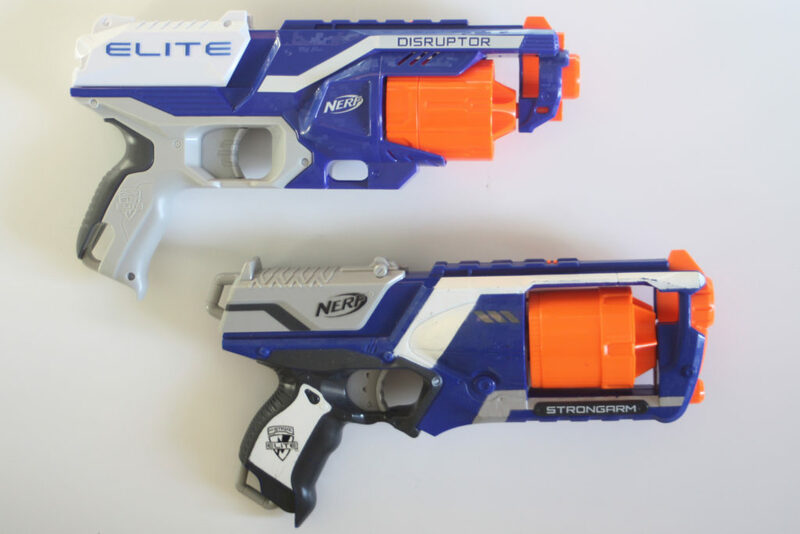 With less paint detailing and less plastic, it would appear that the Disruptor is Nerf’s cheaper version of the Strongarm. 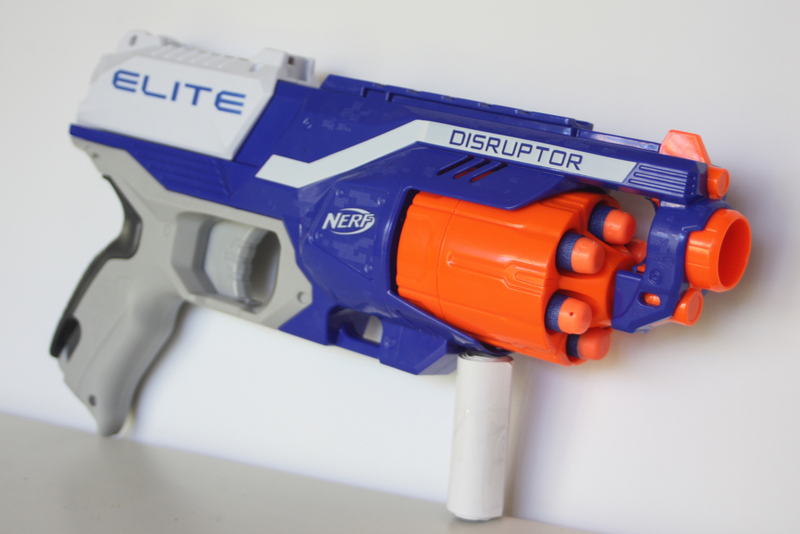 It’s possible the Disruptor may end up replacing the Strongarm. 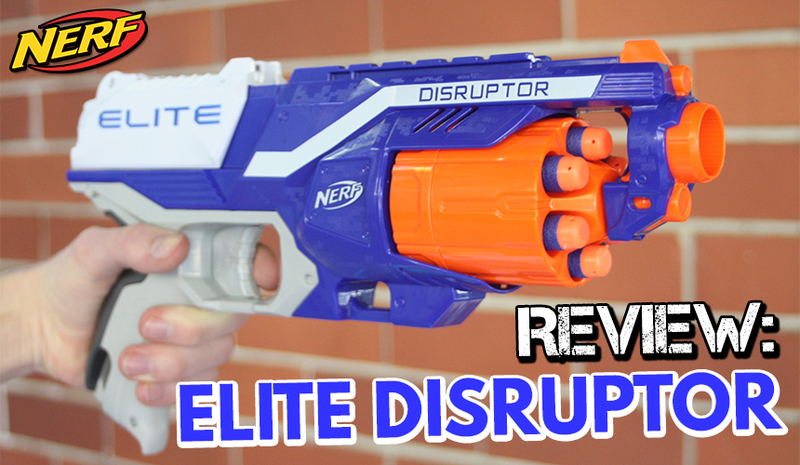 Anyway, let’s take a look at the Disruptor and see how it compares with the Strongarm. Included with the blaster are the usuals. Six elite darts and an instruction sheet. With some slight colour differences and minus the frame below the rotating drum, the Disruptor looks almost the same as the Strongarm, as well as the same length. Since there is no frame beneath the rotating drum, it makes it easier to load darts into the drum. Although I do miss flipping out the drum in the Strongarm, as well as spinning the heck out of it (good for a game of Russian roulette)! The Disruptor contains one tactical rail at the top of the blaster and two convenient sling mounts. Aestheticallly, it’s not a bad blaster, however there is a lot more detailing on the Strongarm. To function the blaster…. Do I really need to explain? 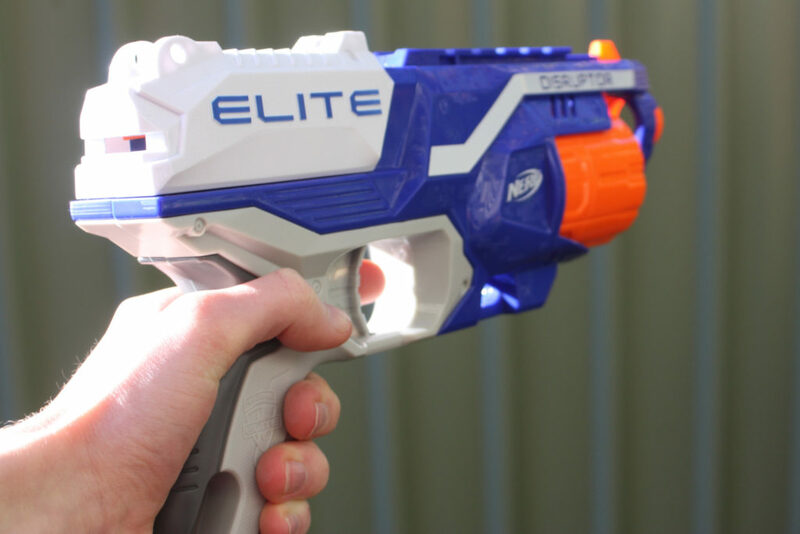 The drum rotates every time the trigger is pulled, exactly like the blaster’s predecessor. It slam-fires too. How well does this thing shoot? Not too bad. It pretty much has the same power as a Strongarm. Its accuracy… well again, it’s what you’d expect from a Strongarm. If it shoots like a Stongarm, has the same size as a Strongarm – how can you go wrong with the Disruptor? 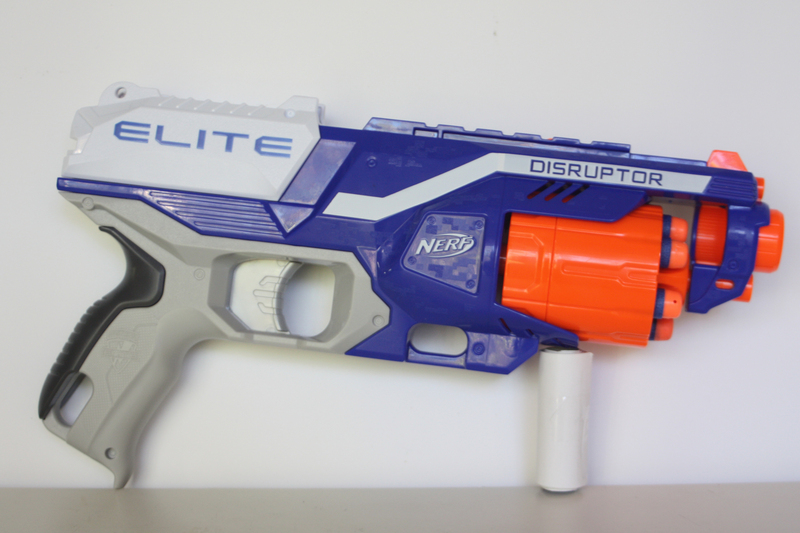 With a decent firepower, fast reload speed and a good dart capacity (for its size), the Disruptor is an ideal secondary blaster. It wouldn’t be a bad primary either, if you like playing stealth. However the blaster is currently sold for $20 AUD! While you can buy a Strongarm for $10 at K-Mart. Why pay $10 more for a blaster that does exactly the same thing as a Strongarm? With all that said, the Disruptor is most likely going to replace the Strongarm, therefore we should also expect to see this blaster being sold for around $10 in the near future. This entry was posted in Dart Blasters, Reviews and tagged blaster, blaster hub, disruptor, elite, nerf, review, strongarm on June 10, 2017 by JJ Reviews. Nerf Mega Twinshock Review Prime Time Toys Dart Zone Info Drop!